Mahavir Rana - Himalayan High Adventures. RECOMMEND Me Now. Mahavir Rana was interested in Outdoor activities since a kid. In the year 1994, when he was in the tenth grade he started going on treks. In the year 2000, he opened his own trekking business as he started enjoying giving customers the experience of trekking in the Himalayas. His trekking business goes by the name - ‘Himalayan High Adventures”. Mahavir Rana was instrumental in opening the Rishi Kund & Sajdhar top trek route in the year 2016. 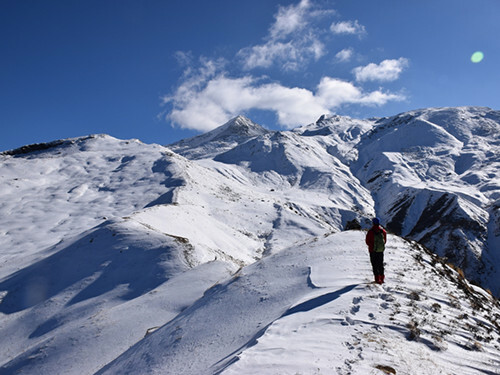 He says every trek is beauitiful, but his favourite treks are the Kag Bhusandi lake trek and the Rishi Kund trek. Mahavir has also done few expeditions like the Mt Kamet, Chaukhamba, Neelkant. During his younger days his favourite sport used to be cricket, he used to be the opening batsmen and participated in block level tournaments. Mahavir says - “My motto is to give customers what they come to the himalayas for, I like to fulfil their expectations, so they take a good message back with them from the Himalayas. He feels, the tour operators and guides have the responsibility to educate the customers about eco friendly trekking and not littering. He says, all the non bio-degradable waste should be brought down and handed over to the municipal corporation, which is the responsibility of the tour operator. He feels that having fixed camps on the mountains are the main reason behind the littering and dirt in the mountains. 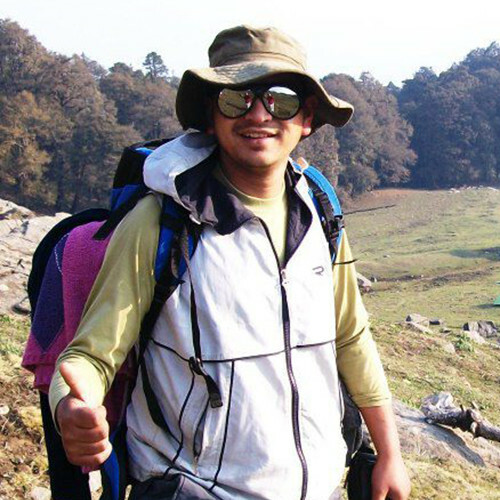 His ambition in life is to make his company - “Himalayan High Adventures”, a good company which helps the local people get jobs and boosts adventure tourism in Uttarakhand.